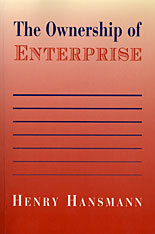 The investor-owned corporation is the conventional form for structuring large-scale enterprise in market economies. But it is not the only one. Even in the United States, noncapitalist firms play a vital role in many sectors. Employee-owned firms have long been prominent in the service professions—law, accounting, investment banking, medicine—and are becoming increasingly important in other industries. The buyout of United Airlines by its employees is the most conspicuous recent instance. Farmer-owned produce cooperatives dominate the market for most basic agricultural commodities. Consumer-owned utilities provide electricity to one out of eight households. Key firms such as MasterCard, Associated Press, and Ace Hardware are service and supply cooperatives owned by local businesses. Occupant-owned condominiums and cooperatives are rapidly displacing investor-owned rental housing. Mutual companies owned by their policyholders sell half of all life insurance and one quarter of all property and liability insurance. And nonprofit firms, which have no owners at all, account for 90 percent of all nongovernmental schools and colleges, two thirds of all hospitals, half of all day-care centers, and one quarter of all nursing homes. Henry Hansmann explores the reasons for this diverse pattern of ownership. He explains why different industries and different national economies exhibit different distributions of ownership forms. The key to the success of a particular form, he shows, depends on the balance between the costs of contracting in the market and the costs of ownership. And he examines how this balance is affected by history and by the legal and regulatory framework within which firms are organized. 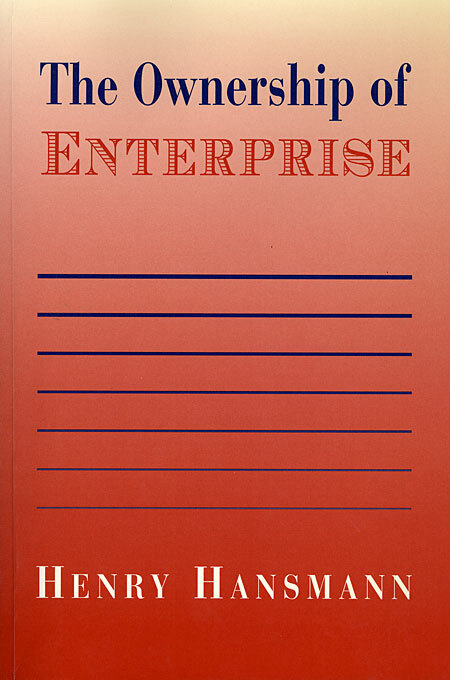 With noncapitalist firms now playing an expanding role in the former socialist countries of Eastern Europe and Asia as well as in the developed market economies of the West, The Ownership of Enterprise will be an important book for business people, policymakers, and scholars.